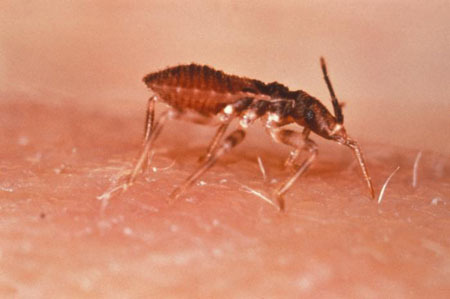 Chagas disease: The new AIDS of the Americas? Peter Chin-Hong, MD, MAS, is a professor of medicine, Academy-Endowed Chair for Innovation in Teaching, director of the Pathways to Discovery in Clinical and Translational Research program, and director of the transplant and immunocompromised host infectious disease program at the University of California, San Francisco. His Twitter handle is @PCH_SF. I don’t know how many of you caught the recent run of headlines reporting Chagas disease as the ‘new HIV/AIDS of the Americas,’ but I was caught off guard. 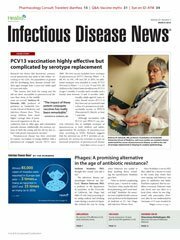 These reports were based on an editorial written in PLoS Neglected Tropical Diseases, which drew direct comparisons between Chagas and the early years of the HIV/AIDS pandemic. I dissected the piece carefully and was disappointed to find that there were no new data lending heft to the bold proclamation. No new cluster of transmissions in the American South, no blood bank mishap in the Midwest, no shadowy patient zero releasing parasite laden kissing bugs on airlines destined to the US from South America. So I did what I normally do when I am confused. I call my expert friends, like Sue Montgomery of the CDC. It is true that there are a lot of people who have Chagas disease in the Americas who don’t know it, and about 300,000 of them reside in the United States. These are people who immigrated from countries in Latin America where T. cruzi, the parasite that causes Chagas disease, is transmitted by triatomine bugs. Most people infected with T. cruzi do not develop symptomatic disease with cardiac and gastrointestinal complications. But asymptomatic mothers with chronic Chagas disease can transmit the infection to their children, and it is estimated that up to 300 infants are born every year in the United States with congenitally acquired Chagas disease. Figure 1. Triatoma infestans or the “Kissing Bug”, “Assassin Bug”, or “Cone-Nose Bug”, is a vector for Chagas' Disease. Asymptomatic patients with chronic Chagas disease can also transmit T. cruzi via blood transfusion. But blood bank donor screening has been in place in the United States since 2007 making our blood supply safer. There are also species of triatomine bugs that are native to the United States that can transmit infection, but this is a rare event — since 1955 there have been only 23 cases identified this way. But yes, Chagas is still very much a neglected disease of poverty. And the burden of disease falls much off the shoulders of the poor in rural Latin America where triatomine vectors are plentiful and individuals are not commonly screened and treated. And while no one I know thinks it is the new AIDS of the Americas — AIDS being too much of a metaphor of devastation to really be a fair comparison — medical providers still need to be better informed and educated to recognize and test patients appropriately for Chagas. Political will needs to be there to fund new therapies, diagnostic tests and health care delivery. If the intent of the editorial was to make me sit up and pay attention, it did — but I am not sure it was the most effective way.